Wits alumni Busisiwe Mtshali is quickly becoming a seasoned actress in South Africa with breakout roles in the film and television industry. The BA Honours in Dramatic Arts graduate is the star of the SABC1 comedy series Thandeka’s Diary and has worked on TV productions such as The Road and Mshika Shika among many others. She drew the attention of international audiences when she featured in award winning film Thina Sobabili. 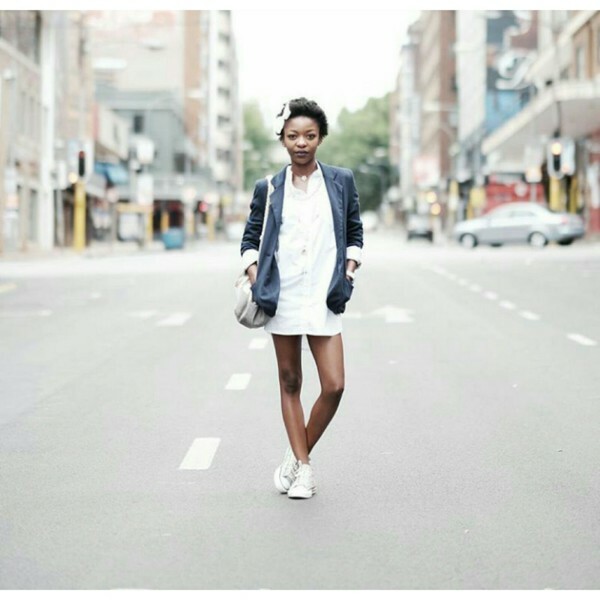 EN ROUTE TO HOLLYWOOD:Wits alumni Busisiwe Mtshali is a leading actress in South African television and film. I love the fact that I get the opportunity to tell other people’s stories. Acting gives me the ability to relate to people from all walks of life and represent the various sides of a narrative. I also appreciate how therapeutic acting can be; acting done well has immense healing power. For me acting is about more than being on screen, it allows me to take a journey with each character that I bring to life. What has been your most fulfilling role this far and why? I can’t pick a single role that I’ve had the most fulfilment in playing. All my roles, in each of their respective forms and shapes, have ignited great passion within me and taught me a little more about myself. Each role gives me the opportunity to wake up and do what I love – I am living my dream. The entire process is equally rewarding for me. I enjoy navigating each set, being immersed in each character, putting on the costumes and make up; it’s all a process. The beauty lies in the process because of the layers of lessons that I extract along the way. You played the conflicted and controversial role of young Zanele in Thina Sobabili, how did you prepare for that? There was no rigid process involved in preparing for the role of Zanele. I could relate to her formative years as a nerdy and reserved young lady because I grew up much like her. I too was reserved and unpopular. I used the memories of my curious teenage years to bring her experimental nature to life. I believe that there are some aspects of yourself in each character that you play and that’s how you serve justice to your roles. I also worked with an amazing director who gave me the licence to be creative and do what I was comfortable. You’ve played a diverse range of characters in your career, how do you avoid being type cast? I’ve been very fortunate in that regard. I have a youthful look and so I’m usually cast for younger roles. I’ve received great grace in the sense that all my roles have been diverse. While I often play young roles, I have never had to play them the same way. This has been a blessing. I believe that my training has made a great difference in my career. The education I have has given me access to techniques and skills that help me to set myself apart. How do you choose the roles that you play? It always starts with the script for me. My process is simple: if it speaks to me, I take it. I don’t take the scripts that I can’t relate to. I am particular about the quality of the work that I deliver because I don’t want to compromise myself as an artist by delivering work of poor quality. The story must move and challenge me in order for me to undertake it, the challenge is crucial. I carry the words spoken to me in conversation with Denzel Washington very closely, “if you don’t trust the pilot, don’t get on the plane”. These have become my yardstick as I choose opportunities. What do you think is your responsibility to your community as a young actress? I’m at the point in my career where my body of work is being widely recognised by the public and people often seek advice from me. I am often approached by young people on social media who seek advice on how to break into the industry. My greatest responsibility is to assist these people in every way I can. I want to make people understand there is room for all of us in the industry. I want to instil the importance of growth and assure my followers and supporters that I’m available to provide guidance as well as answer the questions that I can. The ultimate goal has always been Hollywood. I am passionate about Africa and I want to build and strengthen my portfolio here at home. Success in Hollywood is important to me because it will be a milestone for my country as well as my continent.